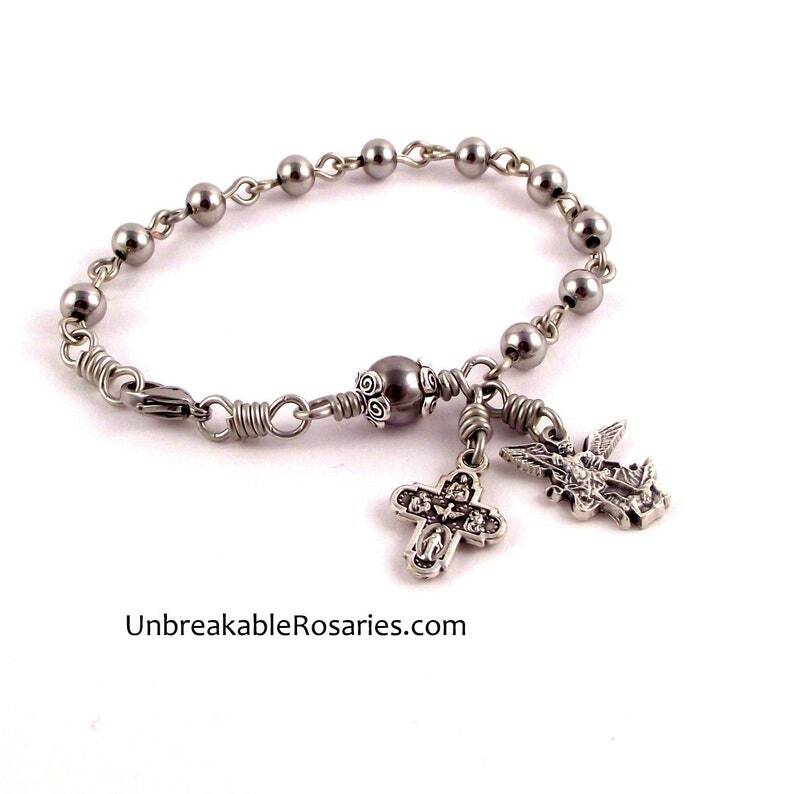 A new Catholic rosary bracelet. Secures with a stainless steel lobster claw clasp. Length: Approx. 7-1/4" - For a tighter fit you can hook the clasp on to any of the links. Contact me prior to purchase if you need it larger and I'll be happy to add an extra link. Beads: Shiny stainless steel - 6mm for the Aves and 8mm for the Pater bead. Cross: 3/4" Italian Holy Spirit cross featuring the Sacred Heart of Jesus, St. Joseph, St. Christopher, the Miraculous Medal, the Infant of Prague, St Anthony and the Virgin of Carmel. Medal: 3/4" Saint Michael the Archangel medal. Made in Italy. Construction: Chain link with wire-wrapped charms and Pater bead. Nickel silver wire. I like this rosary bracelet, very nice.